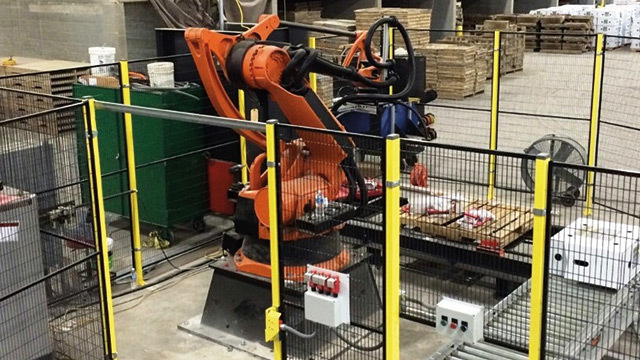 Robotic palletizing increases productivity and profitability while allowing a robot to perform the repetitive and heavy lifting tasks that put a strain on your employees. 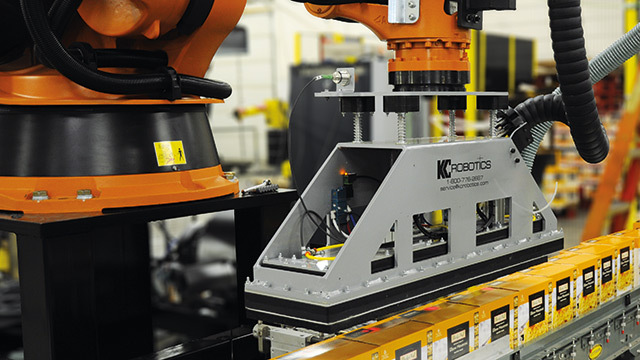 KCR Systems designs flexible and efficient robotic solutions, fully equipped from conveyor to robot to tooling. 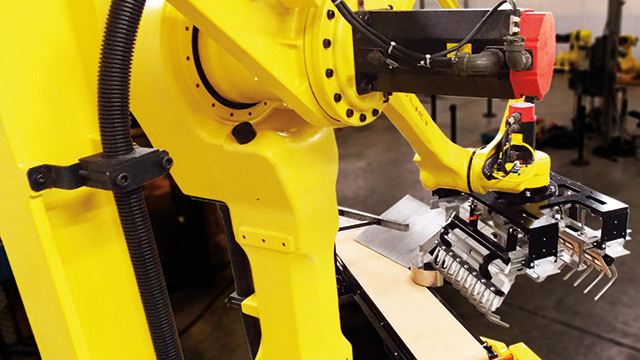 A well-engineered robotic palletizing system will install seamlessly in any production line, with an ROI that gives you a competitive edge in profitability.Our intuitive solutions provide flexibility and customization with payload range from 40 to 1,300 kilograms and reach up to 3.6 meters. 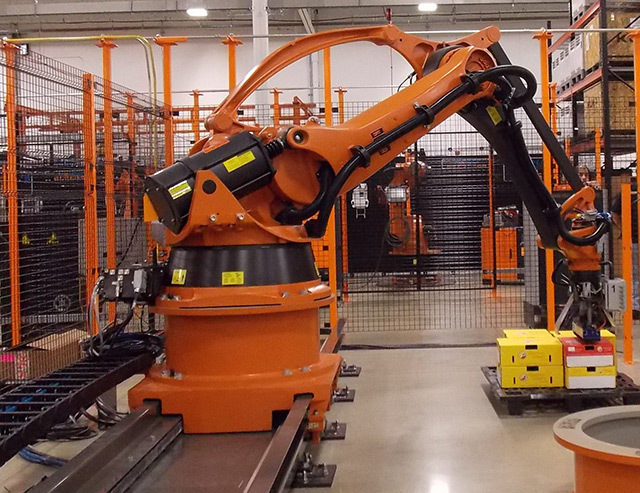 KCR Systems designs Robotic Case Packing Systems for maximum reliability and flexibility over a variety of products. Tasks that previously required excessive manpower and repetitive motion can easily be integrated into a production solution customized to the manufacturer’s needs.